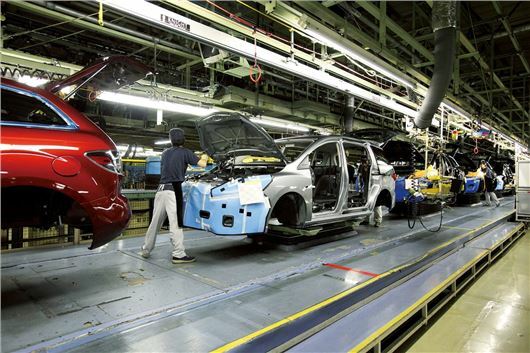 Mazda’s 'Monotsukuri Innovation' programme has been given the Japanese Ministry of Economy, Trade and Industry (METI) award. The honour has been made to acknowledge Mazda’s research and development activities, which have resulted in the production of the company's latest range ultra-efficient Skyactiv engines. It’s the first time the METI prize has been given to Mazda, and the award was made by Japan's Prime Minister, Shinzo Abe, at the 5th Monodzukuri Nippon Grand ceremony. The Monotsukuri Innovation programme has been a big success for Mazda, achieving a 30 per cent improvement in development efficiency and streamlining production for the latest range ultra-efficient Skyactiv engines. Established in 2005 and held every two years, the METI Awards in the Manufacturing and Production Process Category, reward companies, individuals or groups which have created a production revolution through the introduction and development of ground-breaking systems, technologies or techniques in manufacturing.